Thrive. Ideas to lead the church in post-Christendom. 3 years in the making, 9 drafts, 3 re-writes, and a world of learning, my first words book is done. I remember starting this project in the Summer of 2015, as a way to process ideas I was posting on my blog. The vague ideas combined for an initial manuscript of 90,000 words (400+ pages). That wasn’t going to work, nor was it coherent. It took time to craft that first draft into something worth reading. That led to another long year journey to build a proposal for the book, which in itself is a huge body of work. Once my top picks for publishers passed on the project, I opted to self-publish under my own imprint. That meant completing the manuscript and starting the publishing journey at the beginning of this year. 6 months later, after another re-write and rounds of edits, I finally have something to share, and I think you’re going to enjoy it. You already know the problem. Christianity in North America has been pushed to the margins. Society is less religious, church attendance is mostly stagnant, resources are drying up, and leaders are struggling to find answers to stop the exodus. Most of the ideas addressing these challenges rely on reclaiming Christendom, a time when the church could rest at the centre of cultural attention. But we can’t go back in time. Rather, we need to move forward with new ideas. “Thrive” , is a guide to help unlock features in you, and your church, to emerge as leaders and co-creators in our cities, neighborhoods, and beyond. With the increasing number of people claiming no religious affiliation, it may be surprising to learn core values like purpose, justice, spirituality, and love remain important. The stage is set. Today’s culture presents a great opportunity for the church that seeks to live out the Gospel in a post-Christian world. It’s time to live out the fullness of God’s dream for you and the church. Respond to the call to join the unfolding mission in your midst. Including a foreword by JR Woodward…. 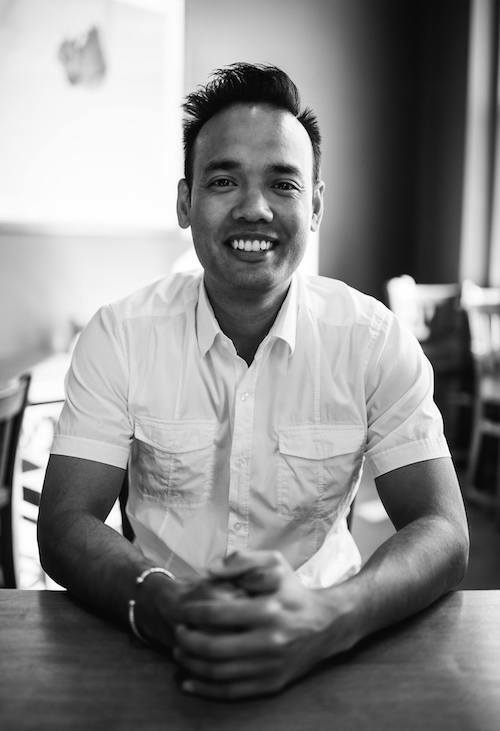 In Thrive, Rohadi not only wakes us up to reality, but he prophetically inspires. His passion for God and people bleed through these pages. His apostolic vision for the church is captivating. He shares hard won nuggets of truth along with his struggles and failures. He’s real. He is like the men from the tribe of Issachar, he understands the times in which we live, and what we must do. 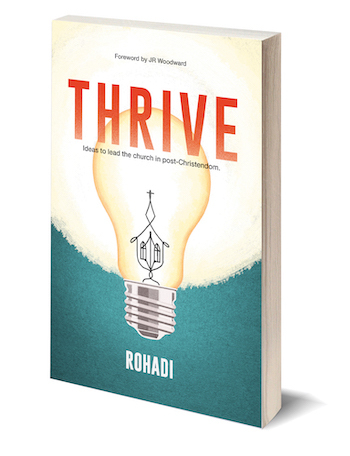 With theological depth and practical wisdom, Rohadi calls the church to shift from survive mode to thrive mode. How Can You Get a Copy? I will be putting details up this week. I want to get readers of the blog some incentives for supporting the book. Hopefully my audio and e-book versions come out in a timely manner…. The book itself will be available wherever books are sold. If I can create a pre-sale (which is not always an option for small publishers), I will. If you’re in Canada the best bet will be ordering from me. Otherwise, ask your local retailer or order from Amazon (boo). Author of Thrive, and Soul Coats. Church planter, entrepreneur, non-profit developer, and sometimes speaker. Writer on re-imagining faith & culture including diversity, reconciliation, and mission. From Canada to the world.